It´s all about style these days with my bilingual princesa. She´s almost three and at the stage where she has to choose her own clothes and will go loquita if I try to dress her in pants. She´s not having any of that. The self-declared princesa will only wear dresses and flowy skirts. Oh, sí. 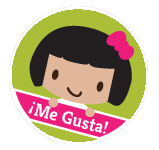 Last week we received a package with an adorably cute t-shirt from Hola Baby online store. They sent her a stylish white tee with two pink and purple birdies sitting on branches and one of them is tweeting: “Pajarito, Pajarito.” Very simple, cute and in Spanish. But, it’s still a tee and not a dress. How would I manage to get her to wear it so I could write this post and tell you truthfully how preciosa my girl looked in her Hola Baby tee? Well, all I had to do was show it to her and talk about the pajaritos. She loved the pajaritos. She was sold. Tee went on without a fight. Mamá was happy of her conniving ways. Girl found a flowy skirt to pair her t-shirt with. Mamá forgot to take a picture to share with all how beautiful and cool her girl looked. 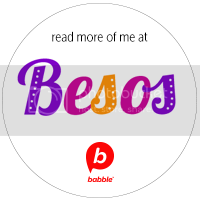 Julie and Carolina just recently launched the Hola Baby shop with original designs and phrases in Spanish for babies, boys and girls. They know that our readers will certainly appreciate what they do and are offering you a 15% discount code on your purchases until May 10th. Just use discount code CINCO during checkout. Tell your amigos about it! This giveaway is now closed. Congratulations to the winner: Nancy Cruz! We’re giving away one girl’s and one boy’s Hola Baby t-shirt to a lucky winner. All you have to do is visit the Hola Baby shop and tell us which tee is your favorite. 1. Subscribe to our feed via email or RSS and leave us an extra comment letting us know you did so or that you’re already a subscriber. 2. Follow us on Twitter and tweet about this giveaway including a link to the post. 3. Blog about this giveaway making sure to include our link, and you’ll get TWO additional entries. This giveaway ends Sunday, May 9th at midnight EST and you must have a valid US address to enter. If you click on a link above and it takes you to La Tiendita and you purchase a product, we will hear pennies fall in el cochinito. .-= Silvia´s last blog ..“Hada por Accidente” / “The Tooth Fairy” =-. SO cute! I have two boys so I like the “Mero, Mero” and “Mi rey” the best. .-= Adriana´s last blog ..Rosas de Abuela =-. I like the “campeon” shirt for boys! I subscribe to Spanglishbaby via googlereader. My favorite tee is Jardin de flores. My daughter would love the mexican sundress. I might be ordering that one! They are all SO cute!!! I love the “mija” tee!!! I am sure my daughter would love it too!!! They are so cute. I love the “mija” tee. .-= Tati´s last blog ..El Dia de Los Libros: Diez Deditos Giveaway =-. 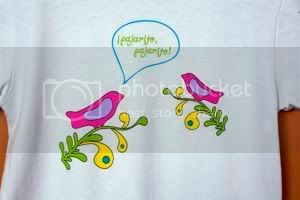 The Pajaritos are the cutest, but I have two sons, so in the boys category, I like the Mijo shirt. I hope they come up with more designs and shirts for older children. Very cute. .-= Sra. López´s last blog ..Habla =-. My favorite is the mijo t-shirt! I like the birds’ one the best too. I love the querubin baby choice. .-= kia´s last blog ..things I am enjoying: camaraderie =-. I have two boys. I was going to vote for “campeon” until I saw the lovely blue piping on “mijo.” That’s my fave! Ay Dios! How cute. Love the pajarito pajarito and Jardín de Flores… buuut I really really like the Blue Sundress the most! 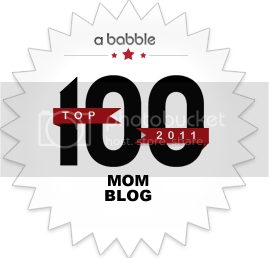 .-= Dariela´s last blog ..Baby Wearing =-. I like the “el mero mero” t-shirt because there is something very John Travolta-ish about it, and what little boy wouldn’t look cute in that shirt? I love them all but know my daughter would like the Fresona Tee best. I have 2 sons who are quite active so I like the “campeon” tshirt. I just subscribed to your feed via email. Thanks! That blue sun dress, wow!!! .-= Marcela´s last blog ..Life’s been happening =-. Que lindas!!!! 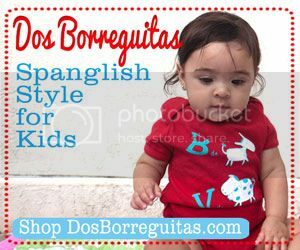 Love it, from someone who is always shopping for spanish tees for my little princessa this is perfect. My favorite is “Pajarito, Pajarito” brings back memories of my Abuelita. I will pass this site along. I like the Campeon shirt. I know my husband will love it for our little campeon! I’m torn, because my son is really el mero mero. He looks down with his long eyelashes and gives a little flirty smile to the pretty ladies. And he loves to dance! But, I will have to vote for MIJO. That just reminds me of my son sitting by my husband. He imitates everything his father does and so often sits down right next to him in the exact same way, and there they are, like small and large versions of the same person. And, my son loves animals and t-shirts with animals on them. I love the Mexican sundress! Oh El Mero, Mero is for sure the one for Austin. Such cool stuff! .-= Janis @ Sneak Peek At Me´s last blog ..What Is The Importance Of A Family Vacation? =-. I’m developing a blog site and I was thinking of switching the template.Yours looks pretty nice! You could visit my website and tell me your viewpoint!